It’s no secret that the Dutch are famous for their fondness for cheese, particularly Gouda and Edam, and the Dutch cheese market which can be found in a handful of communities is a testament to this, especially the Alkmaar Cheese Market, which has been taking place in the city centre on the picturesque Waagplein since 1365. If you’re looking for the best day trips from Amsterdam then this is absolutely one of them – just 30 minutes on the train, then you can enjoy a day steeped in cheese and tradition during your visit to the Netherlands! The traditions surrounding this market are well documented. 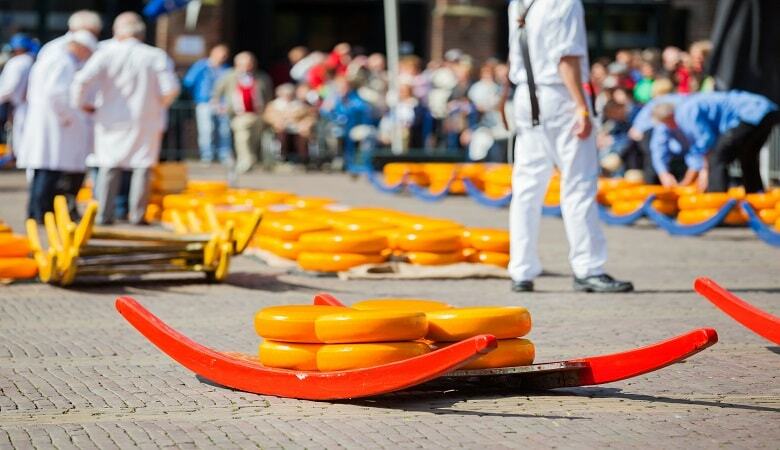 Back in 1365, there was only one set of scales in Alkmaar for weighing and distributing the cheese, and so cheese traders would congregate on the Waagplein to make use of the large scales and compete against their fellow Dutch cheese market masters. Normally there’s up to 30,000 kgs of cheese waiting to be bought. That’s over 66,000 lbs of cheese. Pure heaven! But who stacks and weighs the 2200 whole pieces of cheese onto the market square? Well, that’s where the ‘kaasdragers’ (English: literally “cheese wearers”) come in. They have various roles; cheese loading, cheese tossing, cheese weighing, you name it. If it’s to do with cheese, you can bet they’re doing it! Wearing traditional clothes, the kaasdragers are actually part of a guild with an array of traditions, keeping the history of the Alkmaar cheese market alive. It really is a fascinating spectacle. The Alkmaar Cheese Market 2019 opening hours are consistent too; open every single Friday between April and September from 10am to 1pm, with additional evening markets every Tuesday in July and August. That’s cheese season! 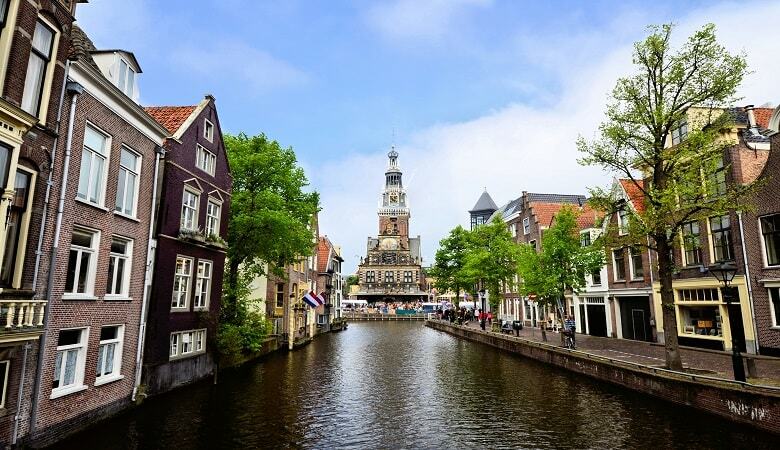 Insider tip: Alkmaar is known locally as either cheese town or the city of cheese, and residents of Alkmaar are often referred to as kaaskoppen – cheese heads! These kaaskoppen are very connected with their heritage and wear the title with pride, despite it being used in a derogatory manner by other Dutchies and Belgians. If you’re curious to learn more about the peculiar traditions of the Alkmaar cheese market, a visit to Het Kaasmuseum is highly recommended. 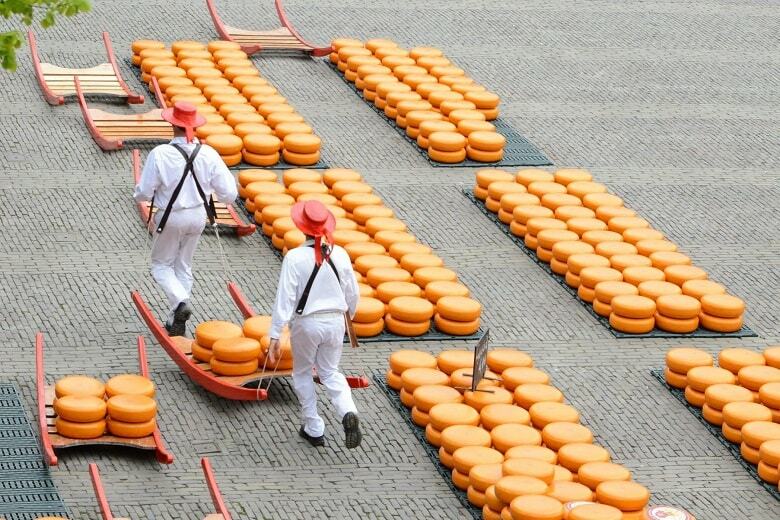 Overlooking the beautiful Waagplein, the Alkmaar Cheese Museum has been educating visitors about cheese since 1983. It has a unique collection of artefacts, and you have the opportunity to learn all about how Edam and Gouda are traditionally made. For the children, there’s also a series of interactive games and videos, and there’s even a scavenger hunt for those who want a little bit of adventure with their cheese. The Netherlands actually has five cheese markets. The most famous is definitely Alkmaar, followed by Edam, Hoorn, Gouda and Woeden. At the Alkmaar Cheese Museum, you can learn about these other various markets and of course, you’ll be able to enjoy a few samples. 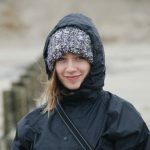 At HolidayParkSpecials, we have a huge variety of holiday parks and holiday cottages near or in Alkmaar. Enjoy a stay, for example, at Roomport Kustpark Egmond aan Zee, which is just a few kilometres from Alkmaar and right on the beach. Explore the Dutch coast, the wonderful city of Amsterdam, the various cheese markets of the Netherlands and plenty more.